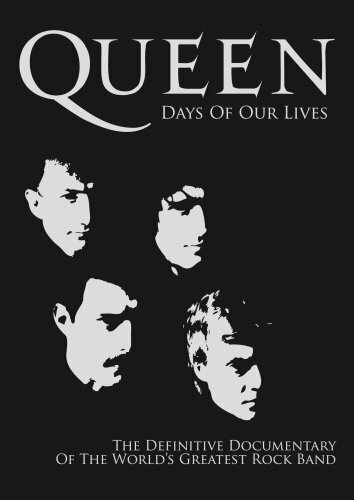 There have been several documentaries about Queen in the past, but this latest one, Days of Our Lives, is perhaps the best one and certainly the most thorough to coincide with the band’s 40th anniversary. Unlike the last video chronicle, Champions of the World (1995), Queen’s story is told more in chronological linear fashion starting from the band’s days as university students, to the most recent incarnation of Queen with singer Paul Rodgers. Some of the interesting highlights are the rare footage from appearances on Top of the Pops and in the studio as well as from the music videos (i.e. These Are the Days of Our Lives). Certainly the most poignant moments are when guitarist Brian May tells the story of inviting his father — who at first was initially skeptical of his son’s rock and roll pursuits – to the band’s show at Madison Square Garden, the pinnacle of success; and of course, Mercury’s final moments before succumbing to AIDS on Nov. 24, 1991 and how he carried on recording despite his failing health. And perhaps for the first time on visual record is a discussion of the friction within the band during the Hot Space period of the early ‘80s. Featuring interviews with surviving members May and Roger Taylor along with associates and journalists, Days of Our Lives is a well-produced documentary.